The Games on Demand version supports English, French, Italian, German, Spanish, Japanese, Korean, Chinese. 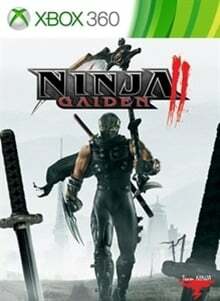 This long-awaited sequel to the best-selling Xbox action game pits legendary ninja Ryu Hayabusa against hordes of malicious enemies as he sets out on a journey that will determine the fate of the human race. With an assortment of new weapons, moves, enemies, and locations, Ninja Gaiden II redefines the action game genre, providing a visceral, thrilling experience that just can't be found anywhere else.